Last week, I had the great privilege and blessing of seeing an interview with Louis Zamperini. The 95-year-old former Olympic runner and World War II prisoner of war was speaking at the Bonita Springs Christian Forum when I happened to be in Florida. http://www.news-press.com/article/20120222/NEWS0102/302220037/Thousands-see-Louis-Zamperini-subject-best-selling-Unbroken-Bonita He had just recovered from double pneumonia and was nursing a broken leg to boot. While waiting for Zamperini to begin speaking, I had another experience that I must add, as it brought me to tears. The church was filled to capacity—3,000 people, 1,400 in the sanctuary and the remainder in overflow rooms, scattered around the church with closed-circuit TVs. Only a dozen or so were under 65-years-old, like me. The music director led the attendees in a rousing sing-along, beginning with some WII-era tunes and ending in a patriotic medley. As we began singing the themes for each branch of the military service, the director asked those who had served in that branch to stand. As we worked our way through “From the Halls of Montezuma” to “Anchors Aweigh” old men stood and saluted one another while the rest of us clapped. For the Coast Guard, the five-hundred or so people in the room applauded one man. At the end, we all stood and recited the Pledge of Allegiance, followed by “The Star-Spangled Banner.” I had never heard such a rousing rendition of our National Anthem. Everyone knew the words. Everyone was singing loudly and clearly. It contrasted so greatly with the half-hearted singing (or silence!) at youth football games and the screeching performances at Superbowl events. I was so proud to be an American. It made me nostalgic for an era in which I never lived, an era in which patriotic traditions, such as learning the words of our anthem, were well-respected and drilled into every young child. It was a fitting tribute for those who had come to see Louie Zamperini. Zamperini is the subject of the bestselling book Unbroken: A World War II Story of Survival, Resilience, and Redemption by Laura Hillenbrand* ($13.98; Random House; November 16, 2010). Hillenbrand begins with Zamperini’s childhood in Torrence, California during the Great Depression. The son of Italian immigrants, Zamperini is constantly in trouble with his parents and the police. In high school, he begins running to impress girls and discovers that all of the running from the cops has made him incredibly fast. He runs so fast that he qualifies for the 1936 Berlin Olympics, where he meets Adolph Hitler. Later, he becomes an Air Force bombardier in the Pacific Theatre of WWII. During a rescue mission, his plane crashes over the Pacific and he is lost at sea for so long that he is declared dead. He ends up in a Japanese POW camp where he and his fellows face intolerable cruelty. When he returns from war, he struggles to overcome old demons until he meets evangelist Billy Graham. Louie was on the raft. There was gentle Phil crumpled up before him, Mac’s breathing skeleton, endless ocean stretching away in every direction, the sun lying over them, the cunning bodies of the sharks, waiting, circling. He was a body on a raft, dying of thirst. He felt words whisper from his swollen lips. It was a promise thrown at heaven, a promise he had not kept, a promise he had allowed himself to forget until just this instant: If you will save me, I will serve you forever. And then, standing under a circus tent on a clear night in downtown Los Angeles, Louie felt rain falling (Hillenbrand). lot of violence, torture, starvation, and suffering. Overall, the violence tends to be the type of cruelty that can be delivered with a fist, swift kick, or a wooden plank than with bullets. 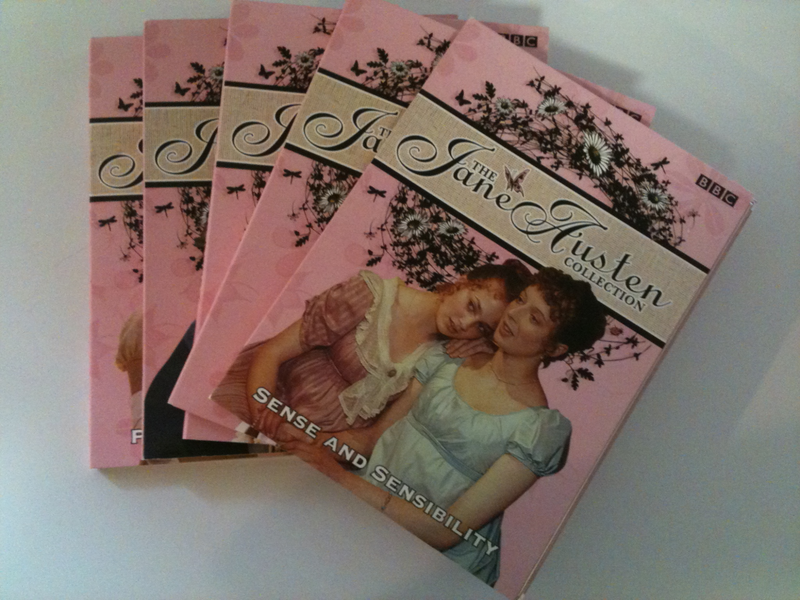 For this reason, I would not give the book to a student under fourteen years old. However, there is also kindness, humor, simple pleasures, and unbelievable forgiveness. Hillenbrand describes the POWs’ suffering, but she does not wallow in it, and she adds anecdotes that demonstrate human dignity and compassion, even in horrifying circumstances. Hillenbrand has a knack for making even the “slow” parts of the book compelling and funny. For example, the book describes statistics of the different planes flown in the Pacific Theatre. This is important for understanding the storyline later, but can get dull for those of us who aren’t aviation aficionados. Still, I was able to plow through the descriptions of B-24 bombers and B-25 bombers without my eyes crossing. A student who likes planes and aviation would love this part. If your student is studying WWII, Unbroken will illuminate the less-well-known Pacific Theatre of War. The book contains photos of Zamperini in his youth, as well as his comrades in arms, maps, and detailed research notes. Hillenbrand took seven years to write this book. She meticulously researched every fact and compiled the story from seventy-five interviews with Zamperini and dozens of others with his family, friends, former POWs, POWs’ children, and experts from Japan and the United States. The book is an exhaustive 496 pages. I highly recommend buying the hardback instead of the Kindle version. I bought the Kindle version, and now regret it, as I found it difficult to see the photos clearly and I am now unable to lend the book to others. This is a book you will want to share with everyone you know! At heart, Unbroken is not only a survival story, but a story of forgiveness, both of God’s Grace and man’s forgiveness of others. Unbroken is among one of my all-time favorite books. It is a life-changing story that should be required reading for every high school young man. Without hesitation, I give it five stars (out of five). Mr. Zamperini is a testament to the human spirit. He says the most important thing in life is to face every circumstance with a cheerful countenance. Coming from someone who has experienced as much hardship as Mr. Zamperini has in life, this is inspiring advice, indeed. 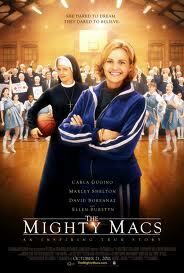 I recently had the opportunity to review The Mighty Macs, a family movie based on a true story of the first opportunity at a national championship title in women's basketball and a tiny all-women's Catholic college with very slim chance of have having a shot at the title. Recently married, Cathy is dealing with the aftermath of a truncated playing career. While cultural norms would have her staying at home, she's willing to do the hard work necessary to help her new team reach their goals—or perhaps she's just trying to achieve her unfulfilled dreams through them. From the beginning, her challenges are as imposing as the big-school teams Immaculata will face on the court. Cathy learns there is no gymnasium on campus, she receives little support from the school's Mother Superior, and the school is in dire financial straits. To top it off, she may not even have enough players to field a team! I'm not really a basketball fan nor am I Catholic, but I particularly like stories and movies with themes of perseverance and the success of underdogs. The Mighty Macs did not disappoint. It was engaging with worthy themes...and clean! With a G rating, this movie can be enjoyed by the whole family. I loved that this film was based on a true story, making it even more inspiring. At the end of the film, the future successes of the some of the Immaculata players were shared, including Cathy Rush, who was a Basketball Hall of Fame legend. You needn't be a sports fan to enjoy this movie, but those who are fans of Rudy or Hoosiers will certainly enjoy it. I have one copy of The Mighty Macs to giveaway to one lucky U.S. reader. See below for how you can enter. Please make sure to leave your contact info in each comment. Leave a comment telling me your favorite sport to watch. Like the The Mighty Macs Facebook page. Follow The Might Macs on Twitter. The giveaway will end on March 9th at 6 p.m. EST and will be chosen by a random number generator. When my children were younger, I didn't know much about natural remedies. Whenever they started to show signs of sickness, my best tools were fluids and sleep with some prayers that it wouldn't get worse enough to require a doctor's visit. I wish I had known some of the natural remedies that help boost the immune system and body to repair itself. If I had, I think I would have saved us a few trips to visit the pediatrician. Beeyoutiful is a supplier of natural products for healthy living with a desire to help others obtain and maintain good health. A couple of years ago, I reviewed Beeyoutiful's Berry Well, an immune system booster. This second time around I was able to sample the B.A.L.M. lip moisturizer and Ow!-Ease . I received the peppermint B.A.L.M. I usually don't like peppermint balm, but this one has a lighter scent with a smooth application. It is made of organic grapeseed oil, organic shea butter, beeswax, and peppermint essential oil. It made for a great all-around, every day lip moisturizer. The Ow!-Ease is an arnica-based trauma salve. I had actually never heard of arnica before, but discovered it is a flower that has been used medicinally for centuries, often for sprains and bruises. Other ingredients include olive oil, calendula, St. Johns Wort, cayenne, coconut oil, beeswax, and lavender and rosemary essential oils. 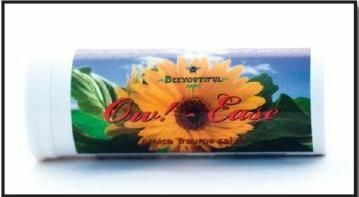 Ow!-Ease has a light natural scent with an easy application in a twist-up tube. The blend has a slight greasy feel, but goes on smoothly and is absorbed by the skin in a short time. I did not have the opportunity to personally use Ow!-Ease, but both my husband and son used it for sore back muscles and said it was helpful. When my son was younger, I used to put regular lotion on his bumps and bruises to satisfy his need for me to "fix it". With Ow!-Ease, the application would have had more than an emotionally soothing effect and actually helped the injury heal faster. It would have definitely been great to have around when my kids were little to put on bumps and bruises. B.A.L.M. 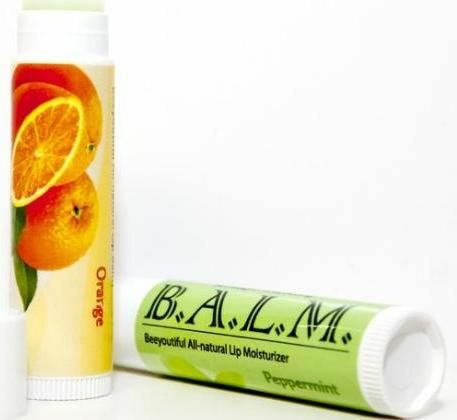 lip moisturizer, which is available in both peppermint and orange, retails for $3.00. The Ow!-Ease retails for $15.00, with quantity discounts available. Both can be purchased, along with other products to benefit your health, at the Beeyoutiful website. Is Taking a Class at the Public School Worth It? As a support group leader, I sometimes get asked by new homeschoolers about enrolling their children part time at the public school, an option available to homeschoolers here in Michigan. While I’ve heard many homeschoolers admonish the very idea, equating the local school as the equivalent to selling out to the system or even sending their kids straight to the bowels of Hell, I never really took that position. Instead, I would advise the inquirer to weigh the cost and the benefit. The benefit would be a “free” class in an elective area (e.g. art), perhaps the appeasement of skeptical relatives who think the addition of a substandard class at school somehow makes an excellent education at home more acceptable, and maybe…maybe…some “socialization” for a child that really wants to be in a classroom or "try" school. However, that socialization could also be part of the long list of cons, depending on the kids in the classroom, something which is not in the parent's control. The con list could also include being tied to a traditional school schedule, travel time to and from the school building, gas cost, and the disruption of the schedules of siblings, among other things. Furthermore, the instruction might be just so, or worse, with a teacher trying to manage 30 kids on a limited budget and strict schedule. So, my general advice was that what the local school had to offer just wasn’t worth it. Using art as an example, it would be a better use of time to find a local artist, or perhaps a retired art teacher, select a topic, and invite some friends to join you share the cost. The end result is an art class tailored just to your student's needs with all of the benefits and few of the disadvantages. That was my story and I stuck with it. Until this year. I don’t know about the laws in other states, but I discovered a Michigan law last year that greatly interested me as a parent homeschooling through high school. This law states that if a student is enrolled in just one seated class at the local school, they are eligible for college dual-enrollment through the district as long as they meet certain academic requirements. Those academic requirements are for 11th or 12th graders who have achieved specific test scores on either the ACT/SAT or our state's own standardized testing. Now, my dd had the required test scores, but she is technically a 9th grader. While the law applies only to 11th and 12th graders, individual school's can apply the law to 9th and 10th graders at the school's discretion. I decided to test the waters. It took a few phone calls, a sharing of the laws, some producing of test scores, and a look at schedules, but the school agreed they’d be willing to give it a try. It was actually much easier than I anticipated. I’m sure they looked at the numbers – it is all about the numbers – to compare the additional funds they’d get from the state for my dd versus the amount they’d have to shell out for college classes. Our district gets almost $7000 per full-time student, which certainly helped make this an attractive numbers game. Meanwhile, I did my own cost-benefit analysis. Since dd was already taking classes at the local university, having the district pay for the classes rather than me writing a check was a very measurable benefit and advantage. In fact, if she took advantage of the maximum two classes a semester under district dual-enrollment, it equaled about $10 paid out for each daily hour at the local high school, and she gets a choir class to boot. I’ll admit, with a child that loves to sing, our home tends to sound like a perpetual musical. I’ve noticed a decrease in the belting of tunes since the start of her class, which makes her sound-sensitive sibling nearly giddy. Add that to the "pro" list. That isn’t to say there aren’t some real cons. I can’t begin to tell you how much I despise getting up every. single. morning. to take her to school, though there may be a flip side to that. For starters, our day is productive earlier than when I opted to follow my body clock. Still, schedule disruptions and time are a real con. In our case, though, the drive is minimal. I’ve also made use of the time I wait for dd while she’s in class by walking (and if motivated…jogging) the indoor track at the school, which is open to the community. It would be a real pro if I dropped some pounds! For dd, socialization is neither pro nor con. She enjoys some of the kids in her class, and is annoyed by others who simply don’t want to be there. The annoyances are just confirmation of why homeschooling works for us. In fact, several of the students are quite jealous that dd gets to go home and are inquisitive about homeschooling. I’m well aware that having a homeschooled student take a class at the local school is often discouraged, even frowned upon, by other homeschoolers. However, I share our experience and reasons simply because many don't know it is an option. In fact, I've been led to believe that some homeschoolers don't want others to know it is an option, based on their own homeschooling philosophies. As far as the state is concerned, we are still homeschoolers and I am still making the one in control as the homeschooling parent. I think we are all capable of weighing our own personal cost-benefit scenario, and the more info out there, the better we can make those decisions. Having this information may mean a homeschooled student can take college classes when the funds were previously not there to do so. While unusual and not without some hassles not discussed here, my agreement with the school district is pretty close to an even exchange, an education barter if you will. I’ve agreed to have my daughter sit in one of their classes, which provides them with extra funding, in exchange for them to pay for two classes at the university (a private one at that!). As a bonus, dd gets in some singing, and I get in some exercise. Given the benefits, I consider our all-expenses paid trip to Oz, as I like to call it, well worth the hassle. My son has a difficult time remembering things. I'll admit, he comes by it honestly. I've always needed to rely on checklists to make sure I don't forget some important item before heading out the door. It isn't all that uncommon for me to back up in the driveway to run into the house for some last minute item. In the past, my son hasn't bothered with lists. Instead, he's just relied on his mom, flawed that I am, to be his frontal lobe and remember things for him. However, I've noticed some compensation strategies developing recently. 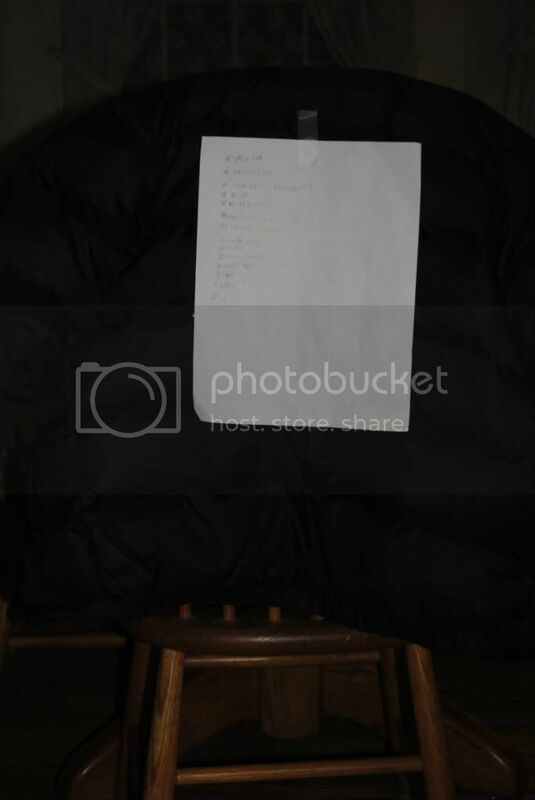 The night before an important event, he made a list of what he needed to bring and actually taped it to his coat. He didn't forget a thing! It could be he is just getting older and showing some maturity. Or maybe he's realizing how risky it is to rely on his mom! Instead, I'd like to think I've been a good role model in how to overcome weaknesses. Good role model...I'll go with that and keep my self-esteem. Regardless, it is really nice to see him figuring out what he needs to do on his own. My mother brought me a copy of Mao’s book, along with other souvenirs, when she went to China ten years ago. Upon this foundation, then, the author tells the story of nine-year-old Ling Chang during China’s Cultural Revolution in the late 1960s to mid-1970s. Ling’s parents are both doctors, and they live in the staff apartments of #4 City Hospital in Wuhan City, China. When Comrade Li moves into a room in the family’s apartment, their lives begin to deteriorate as they lose their freedom of speech, as well as much of their property. Li metes out punishment to Ling’s parents for being part of the “bourgeois,” educated class, while Li struggles to hold her own in school and find enough to eat. One learns later that the story is similar to the author’s life and many of the details in the novel are based upon true events. At first, the author seems to have difficulty putting herself in the shoes of a nine-year-old, asking silly questions and behaving overly naively, but as the character ages, Compestine seems to warm to her subject and the book’s action increases. The details of the book and plot are interesting and unique; I did not learn about China’s Cultural Revolution until I was an adult and few tween books tackle this topic. The description is clever, such as “My fear for Dr. Wong and Father tore at me like rats tearing at a rice sack” (Compestine 65). The first two-thirds of the book has little violence (only the forced cutting of women’s hair), but as the tension builds, so does the bloodshed. Spoiler alert! The most shocking event is the suicide by hanging of a neighbor woman, which the reader does not “see,” but sees her corpse taken away afterwards. The novel is well-suited to 10 – 14 year olds, though older students studying China’s Cultural Revolution may find it interesting and enlightening. The book presents situations that spark thoughtful questions, such as: What would you do if friends and neighbors were being tormented by a cruel government, if anything? Would you lie for food? What does it mean to be free? What is the impact of class warfare? Is there a good reason why doctors earn more than janitors? The book contains some basic maps of Wuhan City and a short historical background of China’s Cultural Revolution, as well as the author’s note. Revolution Is Not a Dinner Party is reminiscent of Red Scarf Girl: A Memoir of the Cultural Revolution by Ji-Li Jiang, but not quite as sophisticated or detailed as that book (http://www.amazon.com/Red-Scarf-Girl-Ji-li-Jiang/dp/B000OEFG3S/ref=sr_1_2?ie=UTF8&qid=1329191113&sr=8-2 ). I rate Revolution Is Not a Dinner Party four stars (out of five), mainly because the author’s experience gives the book authenticity. Moreover, it is a good introductory book for younger students studying China, Mao, communism, and the Cultural Revolution because it explains the situation in terms younger kids will understand and the violence is not as graphic as it could be. If you have a struggling speller at home, you know how the inability to spell slows down work across all subjects, as well as limits the vocabulary used in written work. Rather than spending time constantly looking up more difficult words in a dictionary, if one is readily available, students will simply select a more simple word within spelling ability. The result is written work that is far below the student's spoken vocabulary. See-N-Spell is a non-intimidating tool, geared toward those in 4th grade through adult, to quickly look up commonly misspelled words and verify the correct usage, making the lack of spelling ability to be less of an inhibitor when writing. View this sample page to get a feel for the easy layout. With Spell Check and dictionaries readily available, this guide may seem like an unnecessary tool. However, the idea is to provide an easy and quick reference guide. Computers are not always accessible, especially with grade school children in the classroom. Thick dictionaries are sometimes intimidating and not always convenient for travel. Spell-N-Check is 40 pages and a standard 8 1/2" x 11" in size. It is thin enough to put in a pocket of a 3-ring binder or to throw in a bag with other books. The guide does have some downfalls, and those played out in our homeschool. It only includes 300 words, so it is very likely that a student may not find a particular word. Since my son is now proficient with a dictionary, he is more apt to reach for that knowing the sought after word will likely be located. He also types a lot of his work, and Spell Check is his best friend (smile). With both of these tools readily available, the reference guide was not utilized much in our home. However, if there is a word that a student repeatedly uses that is not listed in the reference guide, it can always be added to the Special Interest Words section making this reference tool more personalized. Also, there was a time that using a dictionary was very frustrating and intimidating for my son. I can see how this reference guide would have been more useful several years ago, rather than as a 7th grader. The list of homophones was also a nice addition and I really liked that it included word pairs, such as "advice/advise", "guessed/guest", "pedal/petal", that are more likely to be confused by dyslexics and children with auditory processing issues. Older ESL students with knowledge of parts of speech but not sure of the English word usage could benefit from the way the words are categorized. See-N-Spell might also be a helpful tool to younger students (say 2nd or 3rd grade) who are strong writers with an advanced vocabulary, but find a thick dictionary overwhelming simply from a developmental standpoint. The portability of the guide makes it a handy tool for anyone that struggles with spelling, but does not always have access to a dictionary or computer. Holes to place the guide in a 3-ring binder with other schoolwork would be a great addition. Each See-N-Spell guide also comes with a free See-N-Read Reading Tool. A review and some research behind it can be explored by reading a previous review found here. See-N-Spell is available for $9.99 at the See-N-Read website. How was class today? This is what I'm asking my daughter every day after her choir class at the local high school. Not only am I curious of what she is learning, I also want to know how she's interacting with the other students. After a week and a half, I don't think I need to worry about her acceptance. She's received texts from fellow students, been complimented on attire and hairstyles (perhaps they were expecting a denim jumper? ), and fielded genuine questions about homeschooling. The learning portion is a bit more complicated, considering this week my daily question was answered with, "We didn't have class." A substitute teacher had been assigned that day, and the class did nothing. My daughter spent her hour playing a game on her phone and chatting with other students. She had two comments about it. "I wish I had brought some of my other schoolwork with me so I could have worked on that instead." "I thought about asking to leave, since they obviously weren't doing anything. I didn't think they'd let me, though." These comments have two messages. 1) What a waste of time. 2) I can see what is rational, but understand I'm not dealing with rational. I agreed that it might be a good idea to have a downloaded history lecture (a weekly assignment from her AP U.S. History class) on her phone as a back-up plan. I also advised her that her choice to not bother asking to leave was wise. She would have been denied. These two comments brought me back to my earlier analogies of prison and Oz. As strange as it may seem, it helps me keep things in perspective. She needed to do her time that day, which entailed 60 minutes in the Land of Oz. It makes the unreasonable seem reasonable again. Of course, this leads to the question of is it all worth it. Actually, for us, it is. More details in a future post. When I noticed Gloria Whelan had written a new book, I snatched it up. Whelan is one of my favorite Young Adult authors. The book, Small Acts of Amazing Courage ($15.99; Simon & Schuster/Paula Wiseman Books; April 19, 2011), is set in India in 1918, six months after the end of WWI. Rosalind, the fifteen-year-old daughter of a British officer, has lived her whole life in India, but now is faced with the possibility of being sent to England for school because of her involvement with protests against British colonialism. Rosalind is caught between two cultures: the one she has lived and the one her family calls “home.” She wants to continue to interact with her Indian friend and make a difference in the lives of the common Indian citizen, but British society expects her to behave as a proper lady, whose sole interests should swirl around fashion, bridge, and entertaining at the British country club. The setting and time period of the story is unique and interesting. Few Young Adult novels focus on WWI or its aftermath. Even fewer are set in India at that time. Whelan is an excellent writer, and as always, her story is well-written. She knows how to give just enough detail and description to paint a scene without losing a young reader. Small Acts of Amazing Courage would be a good book for those students who are studying Gandhi, as the book features him in several places and gives a sense of what life in India was like when he was preaching. The book reminds me of Homeless Bird, Whelan’s National Book Award-winning novel about the caste system in India and a young woman in an arranged marriage (http://www.amazon.com/Homeless-Bird-Gloria-Whelan/dp/0756908426/ref=sr_1_1?ie=UTF8&qid=1328644048&sr=8-1). If you liked that book, you will likely enjoy Small Acts of Amazing Courage, although Homeless Bird was a better book overall. Small Acts of Amazing Courage is a gentle book targeting 5th – 8th grade girls (and intellectual boys), with few offensive elements. Despite the positives, the story seems to struggle at the end. The pacing appears to be “off.” It’s almost as if the book had much more to tell. (Perhaps Whelan plans to write a sequel?) Also, the characters are not quite as developed as they could be. Characters pop in and out of the story—her Indian friend Isha, the orphanage director Mrs. Nelson, the love interest Max Nelson, and even Rosalind’s parents. Spoiler alert! Rosalind travels to England, but her time there is so incredibly short that it is unrealistic. It feels as if Whelan rushed through the conclusion in order to return her to India, and the result is a relatively unsatisfactory conclusion. All of these problems could likely be solved with a slightly longer, more developed book with a more natural pace. Another thing that I dislike about this book is its cost: $16! This seems outrageously steep to me for such a short hardback book. While the book is 217 pages, it is small, almost square—7.4” x 5.7”. This is Whelan’s trademark size, which is attractive. However, if the book were in a traditional, trade paperback size, it would contain half that many pages. The book is not long enough to warrant the price tag. While the Kindle version is more reasonable at $10, I would wait for the paperback version, which will, hopefully, come in under $7. Small Acts of Amazing Courage has the makings of an award-winning historical novel, but falls short in pacing, plotting, and characterization. Still, Whelan’s excellent descriptive writing and snappy dialogue compensate for most of the weaknesses, and I give it four stars (out of five). You can read more about Gloria Whelan at her website http://www.gloriawhelan.com/ . The next time someone claims that the local public school, trained expert teachers, and superior educational environment can do better than the individualize tailored education that my children receive in our homeschool, I think I'll direct them to this video. Um, yeah...I don't think your focus needs to be what my students are learning. Yep, I think we are just fine. After years of picking up books and educational materials at library book sales, garage sales, and thrift shops, my shelves (and underbed storage, closets, and spare rooms) are overflowing. I'm much more selective in books that I purchase now. Either I already own it, know a lending friend that owns it, or simply have no room for it. As my husband points out, I have enough reading material in the house to last a lifetime...for myself, my children, and grandchilden. I snagged these BBC Jane Austen DVDs for a mere $8 TOTAL! When I looked on Amazon for reviews, I noticed that the set usually sells for around $100 new, which added even more to my bargain hunting high. I also noticed that my find is one DVD shy of a complete set. Those that know me well, know that I must. have. a. complete. set. It is part my addiction/high cycle, I believe. Thankfully, the missing DVD isn't all that hard to find, though I may end up spending just as much on the one title as I did on the rest of the set. Even so, it is still quite the find! Did you recently have a great educational find, bargain, or both? I'd love to hear about it! I live vicariously through such stories until my next find.